Suffice it to say, the Americana Music Festival and Conference is a music lover’s dream, especially if you’re a music lover whose tastes lean towards Americana in all its various permutations and descriptions. It’s of little importance how you define the genre because it defines itself. It’s anything and everything born of genuine roots, whether it seeps from America’s heartland, the swamps of the south, the outer reaches of California, the mountains of Appalachia, or as far afield as the Australian outback and the urban and rural expanses here in the U.K. As ambitious in its undertaking as Austin’s massive South By South West and as demanding in terms of decision making as Glastonbury or Edinburgh’s Fringe, it provides a showcase for literally hundreds of acts, each competing for attention in more than three dozen venues, various onsite events, as well as assorted record shops, restaurants and boutiques spread throughout Nashville and beyond. That said, it’s also somewhat daunting, given the fact that numerous high profile acts are performing all at the same time. Many of the locales are close by - several situated in East Nashville where the music community flourishes apart from the legendary Music Row - but given that every evening is jammed with entertainment and must-see music, catching it all is a near impossibility, unless of course one has the ability to morph into a dozen alter egos all at the same time. A venue like Cannery Row offers the best opportunity to leap from show-to-show because it houses three venues in the same building, but even there the idea is impractical, unless one is content to catch 15 minutes of one set before bounding off to grab a fleeting view of someone else before dashing off in hopes of seeing the final few minutes of a band making its final bows prior to attempting the full circle yet again. Mostly though, the Americana Music Festival is made for those with quick attention spans, eagerness and impatience. But for all others, it takes planning, sound strategy and a willingness to make the most of five days filled with ongoing entertainment. In exchange, it offers the opportunity to see both icons and artists of international stature, a diverse contingent that this year alone included Van Morrison, Graham Nash, Jason Isbel, Emmylou Harris, The Blind Boys of Alabama, John Prine, Robert Cray, Kasey Chambers, Colin Hay, Robyn Hitchcock, Shelby Lynne, Allison Moorer, Jon Langford, and Lee Ann Womack, to name but a scant few. Nashville, the legendary place that turned the tide as far as bringing international adulation to the kings and queens of country music. 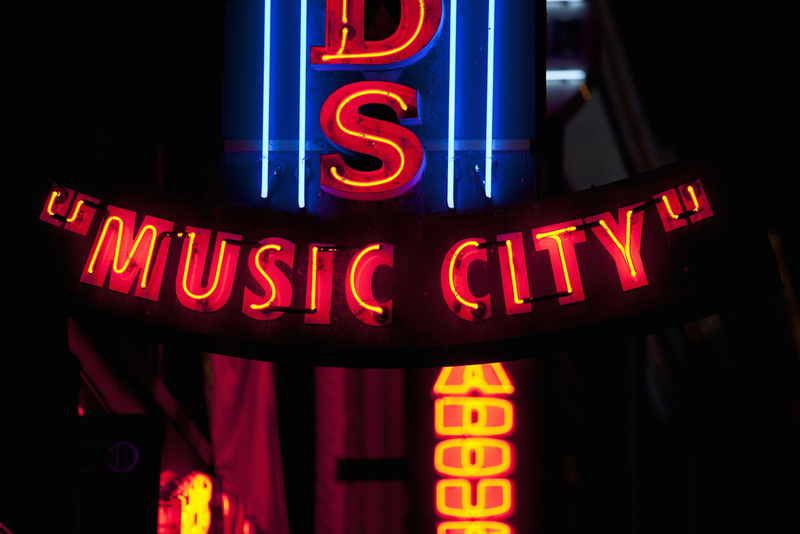 It’s the city that belongs on every music fan’s bucket list, if only for the opportunity to visit the legendary Grand Old Opry, the original Mother Church of Country Music known as the Ryman, the intimate Bluebird Cafe, the honkytonks that dot downtown’s Broadway, and all the quirky little clubs and crevices that are wellsprings of live music both day and night. You don’t need a cowboy hat, cowboy boots or a Nudies suit to feel like you’re part of the scene, but the ability to say “Hey y’all” in a pronounced southern accent will make the others around you warm up to you rather quickly. The awards presentation on the second night of the fest is one of the most prestigious music ceremonies you may ever attend. Here again, the attention turns to the stars who both give and receive acknowledgement from the host organization, The Americana Music Association. Simply put, it rivals anything the Grammys have to offer, at least as far as coolness is concerned. Where else can you catch Graham Nash harmonizing with the Milk Carton Kids on an old Every Brothers chestnut or John Prine doling out honors to an emotional Iris Dement and before joining her for a duet? With a house band led and directed by the great Buddy Miller – absent this year but ably subbed for by the equally prolific Larry Campbell – there are stars galore crowding the legendary Ryman stage. And it’s a particularly poignant moment when someone like Marty Stuart accepts an award and notes that only a few feet from where he’s standing, he made his Opry debut as a teenager. History does repeat after all. Every year, the Bootleg BBQ, held on the back lawn of The Groove record store, becomes one of the must-see events of the festival. Sponsored by the British Underground, it’s an outstanding opportunity to spotlight some of Britain’s most dynamic up and coming artists within the umbrella of international Americana. This year, the dynamic and irrepressible Yola Carter, sisterly trio Wildwood Kin and the charismatic Danni Nicholls were among those that wowed the crowd, with special guests Angaleena Presley ensuring the connection between the U.K. and the U.S.A. remains as unbreakable a bond as always. There were also star sightings – with Jim Lauderdale checking out the action and Indigo Girl Amy Ray braving the heat and obviously enjoying the entire afternoon. And the barbecue isn’t bad either. Hanging out at an event like the Compass Records annual open house or spending the evening enjoying a live broadcast of the syndicated show Music City Roots at the Yee-Haw tent practically guarantees you’ll run into someone of renown. There’s little in the way of barriers between back stage and front, and while we were there, we had opportunity to chat with Ray Wylie Hubbard, Kasey Chambers, Colin Hay, Willie Nile and Cody Dickinson of the North Mississippi Allstars. Everyone is especially gracious in these relaxed environs, allowing for especially cool connections. Besides, if you’re wearing a groovy cowboy shirt, purchased from the discount rack at the Country Music Hall of Fame, you might find that people mistake you for a star as well. Thre's a Country Music Museum that provides an ongoing series of themed exhibits that trace the music’s evolution from past to present,and during the festival, and there are special talks well worth attending. Two in particular were an intimate discussion and acoustic performance from Allison Moorer and her sister Shelby Lynne, who were celebrating the release of their first collaborative effort, and a program devoted to Southern Roots, specifically, a salute to the legacy of the late Gregg Allman and his band of brothers. In addition to the aforementioned Danni Nichols and Yola Carter, we were fortunate enough to see the young Aussie duo Falls, whose sweet harmonies and bewitching melodies prove nothing less than utterly enticing. Two young Americans from Austin Texas, Max Gomez and David Ramirez, were equally worthy of attention, two strong singer songwriters with an authority and presence that extends far beyond their relatively modest ages. Three rockier ensembles, Deer Tick, Band of Heathens and Reckless Kelly literally shook the rafters in their own individual performances, while Matthew Ryan, normally calm and composed on record, showed he could also rock with a ferocity that had the crowd taking notice. There were numerous others as well – The Wild Ponies, a husband wide duo that served up superb songs from their new Galax, the amazingly talented songstress Becky Warren, an exuberant Korby Lenker, and a superb Scotsman Dean Owens, all of whom proved themselves well worthy of recognition. Those on an exploratory mission will always find ample rewards. It’s practically impossible to find a similar gathering with such an impressive roster of stars, all of whom are making a meaningful mark in this ever burgeoning genre. It’s a chance to stay ahead of the curve, to be a part of a musical movement that’s making its impact worldwide. It offers the feeling of community, and the smiles on people’s faces and the chance to make new friends is well worth the effort all on its own. Americana is universal and a cause for continuing celebration. Indeed, there’s no better place to begin than here.